Kolkata, India — Tony Craig from Picante Sportfishing Yacht Sales in Cabo San Lucas recently took The Log Newspaper along with him on a visit to Mother Teresas House. 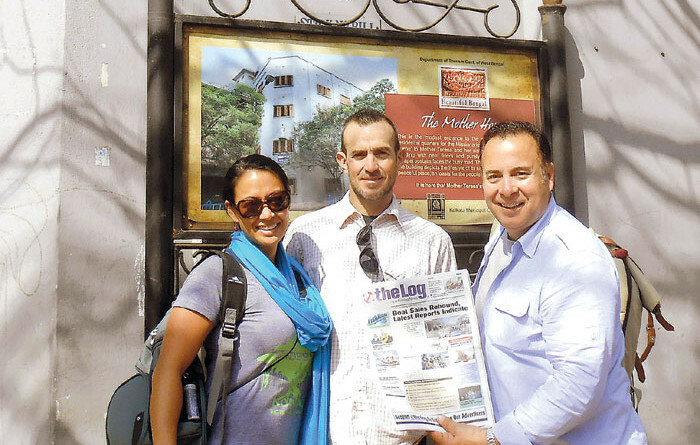 Pictured at the entrance to the home where Mother Teresa wrote all of her letters and stayed during her lifetime are (from left) Jasmene and Chad Jarrett of Costa Mesa, with Craig. The visit was made on the way to Katihar, when 12 members of GO Team India from The Crossing Church in Costa Mesa traveled there to bring needed supplies and convert a shipping container into a classroom for Bethal Church Association, their church partner.